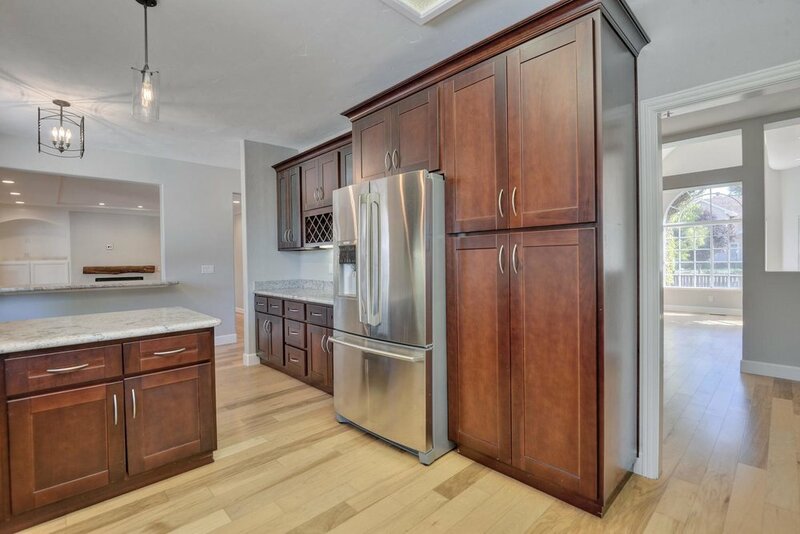 Four bedroom three bath home located in Campbell bordering Los Gatos. Includes eat-in kitchen and bar. Spacious and bright with doorway leading to formal dining room. 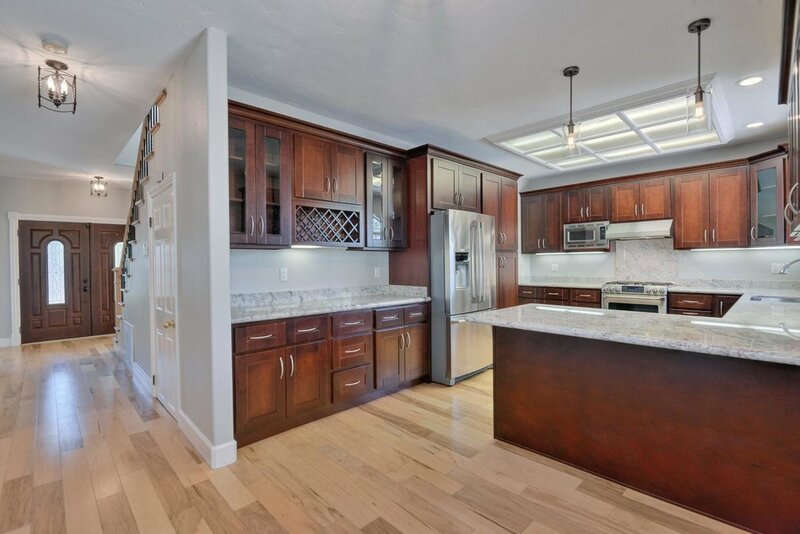 Cherry cabinets, granite countertops, hardwood flooring throughout. 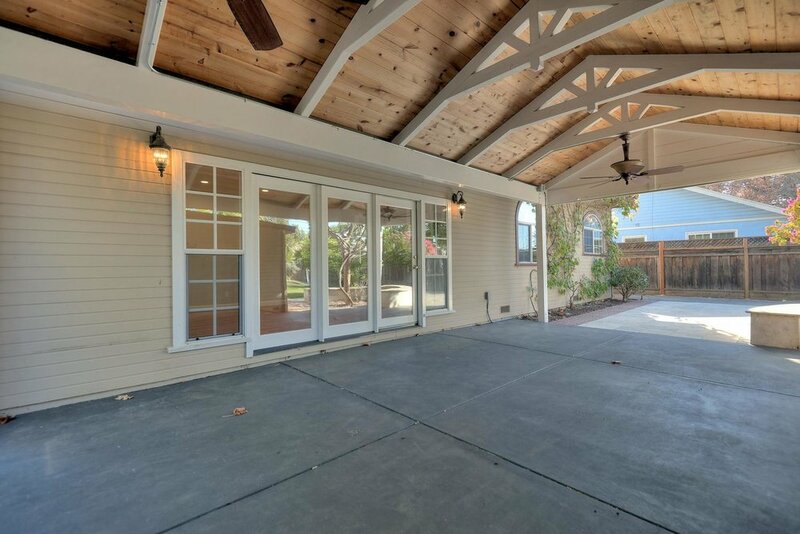 Hardwood floors and access to a covered patio. 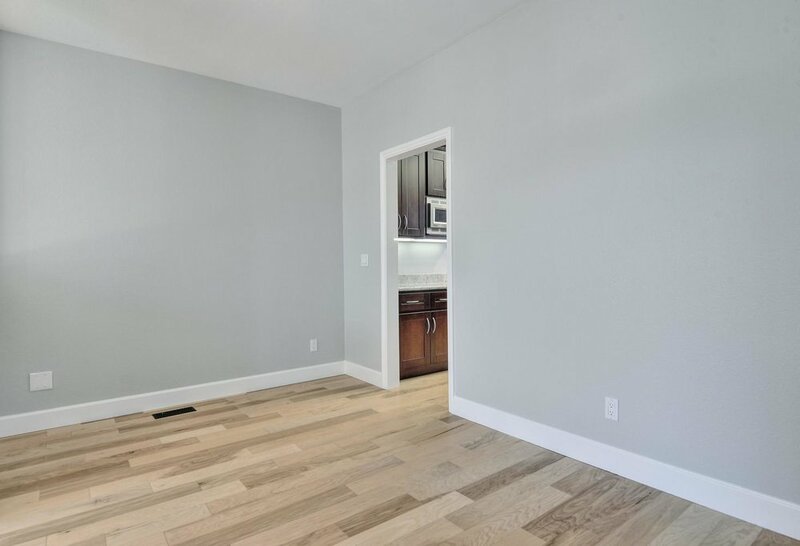 Hardwood Floors and easy access to kitchen or backyard. 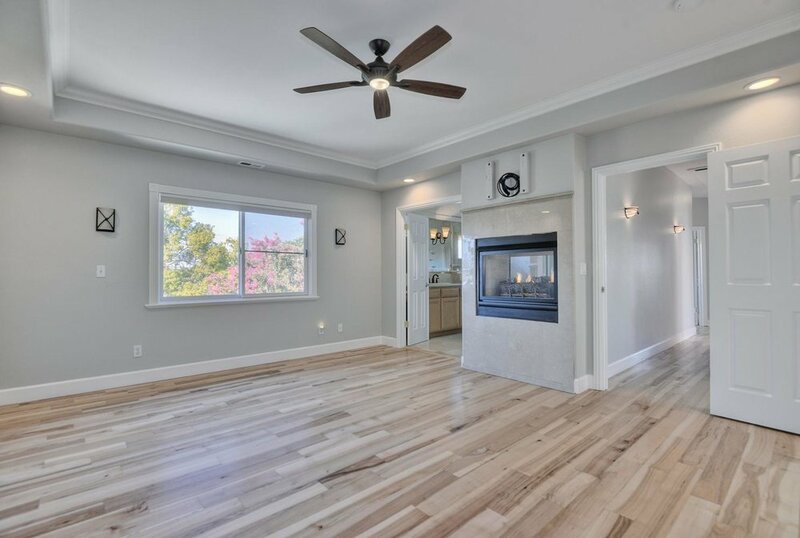 Bright with natural light and hardwood floors throughout house. Located directly off the Dining Room with easy access to the kitchen. Convenient kitchen and living room access. 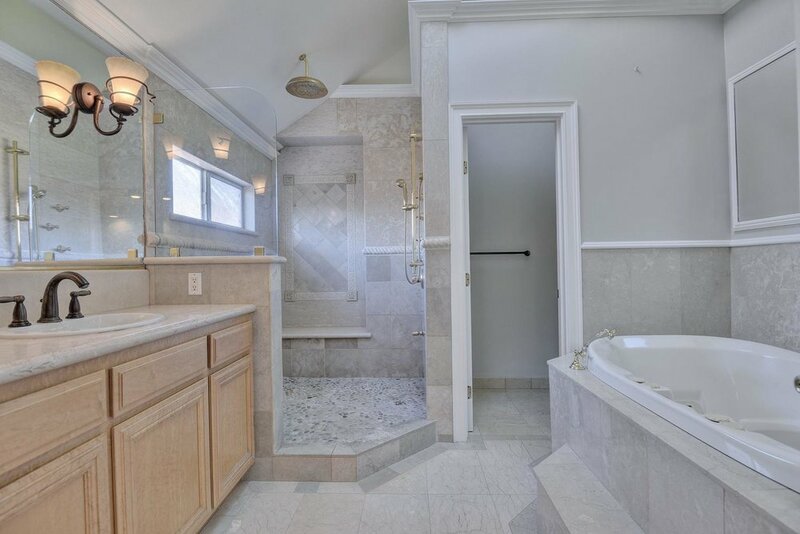 Marble shower in this large centrally located bathroom on main level of house. Washer/Dryer hookups, cabinetry, and ample storage space. 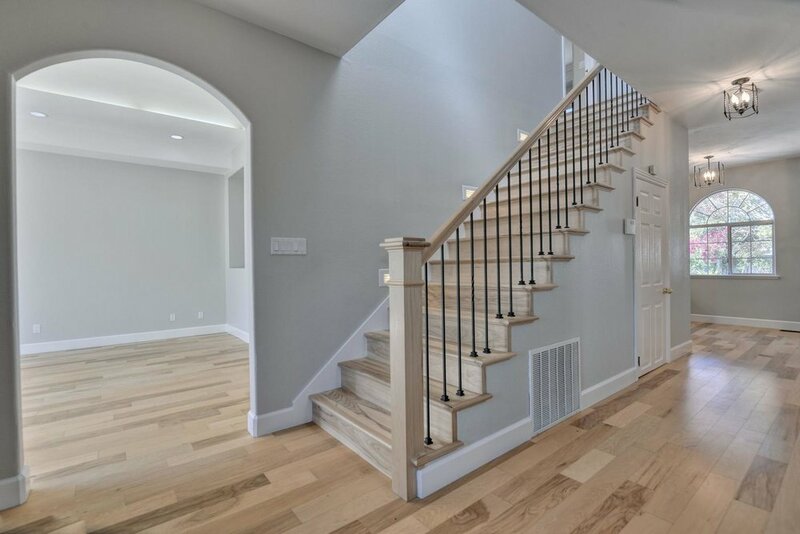 Solid wood staircase and bright light make this entryway warm and inviting. Bedroom one is large and open. A small door leads to an extra room. Large enclosed space located through door in bedroom 1. Open and bright bedroom with a custom wall mural by artist, Robert Guidace. Perfect for the horse lover in your family. Bathroom located off central hallway, easy access from Bedrooms 1, 2, and 3. 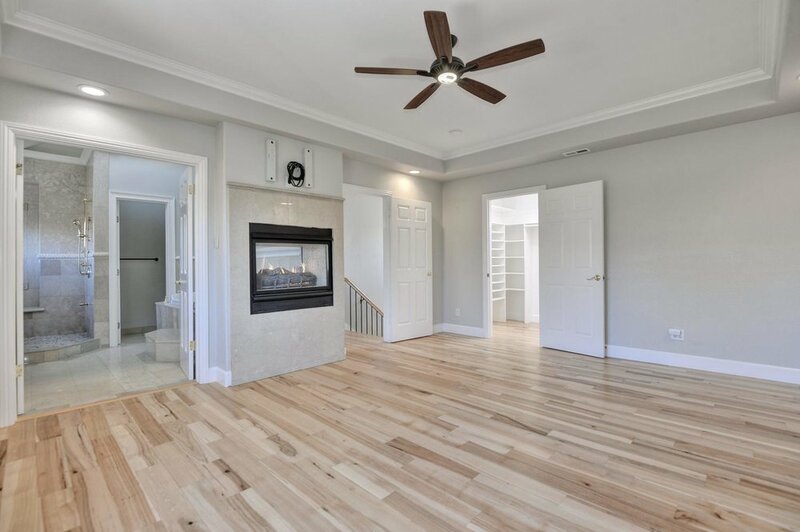 Inviting hardwood floors, huge walk-in closet, fireplace, and en suite bathroom. 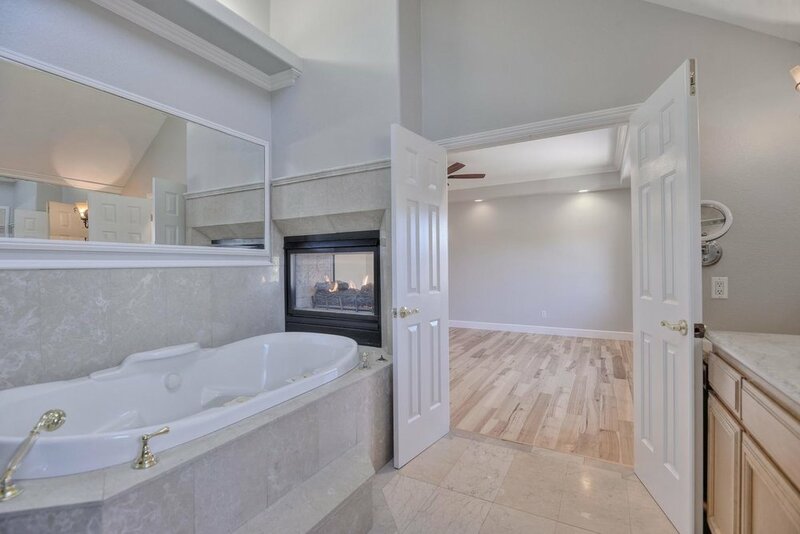 Attached full bath with spa tub and dual sided fireplace. Tray ceiling with modern lights. Large walk-in closet with built in shelves. Granite countertops, custom tile work, oversized shower with pebble floor, and spa bathtub. Detached structure located to rear of house in backyard. Image 1. Detached structure located to rear of house in backyard. Image 2. Detached structure located to rear of house in backyard. Image 3. Detached structure located to rear of house in backyard. Image 4. Detached structure located to rear of house in backyard. Image 5. Large backyard with covered patio area. Fully shaded area to entertain and host guests. Large backyard with ample grass and entertaining space.